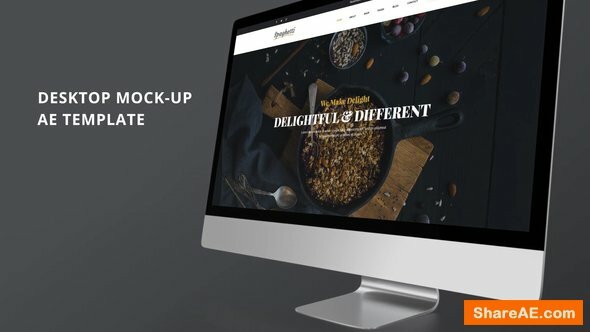 These are Photorealistic iMac Pro Mockup to Display your Website, Program, Portfolio, advertising your other Visual Product. 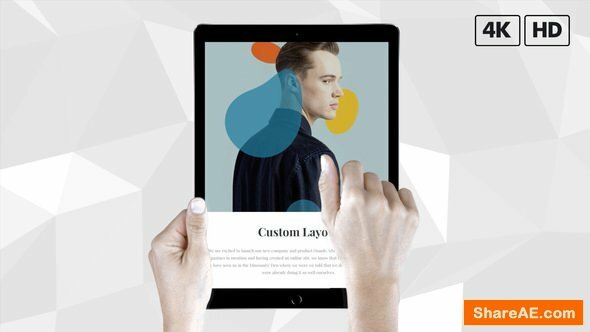 By placing your Images to Display in the Mock-up, Text and customizing the Color you need, you can easily use this Template to advertise your Website, Service Promotion, advertising and everything you think. 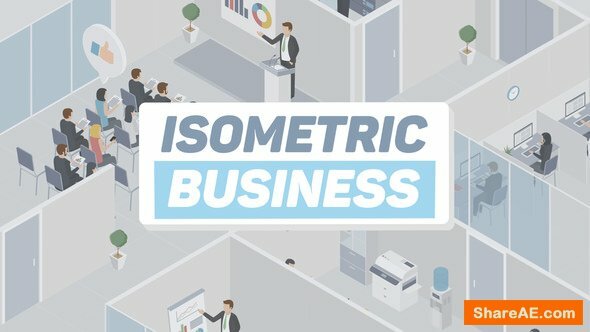 these are Isometric Pages of the Site, iPhone Mockup, iPad Mock up and iMac Mock-up to Display your Website, Mobile Application, advertising your other Visual Product. 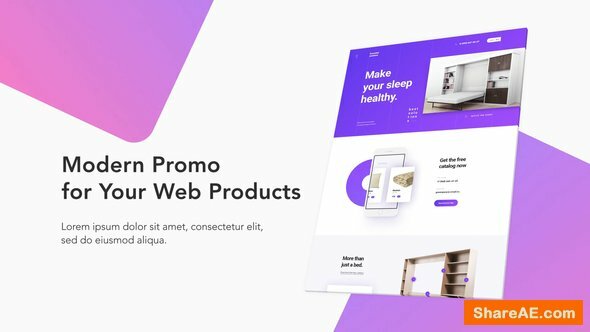 By placing your Images, Text and customizing the Color you need, you can easily use this Template to advertise your Website, Mobile App, Service Promotion, advertising and everything you think. Hello, everyone! 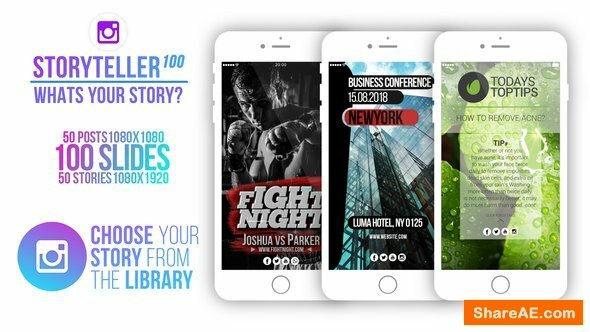 Want to advertise or show off your app or service? 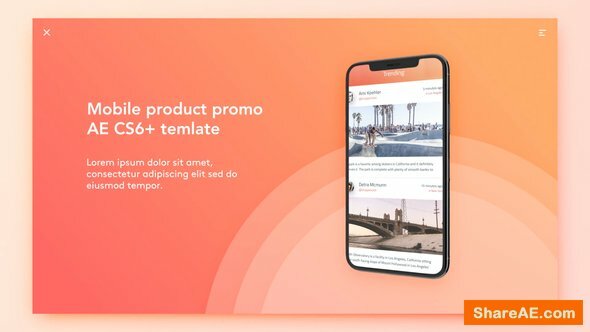 This template allows you to easily create own short promo video for your app. 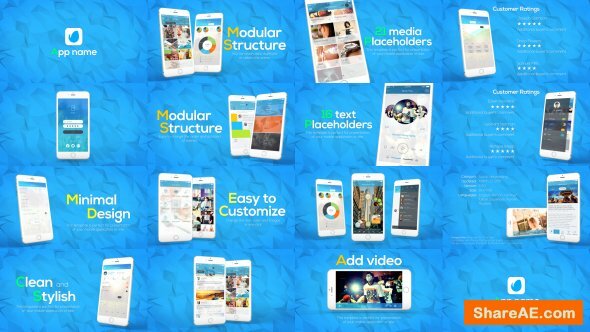 Just insert your images/screenshots or video demonstration and show main features of the your application. The statistics shows that short promo video are most effective. 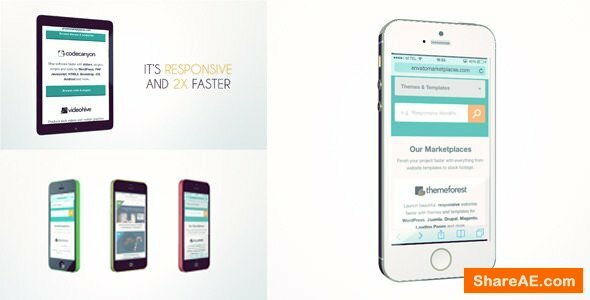 Therefore show only the best features of the application in this template. Hope you find it useful. Real Black and Gold iPhone Xs MAX in Male and Female hands project with Animated placeholders and touch screen finger Gestures in 4K Resolution in Both Landscape and Portrait orientations! 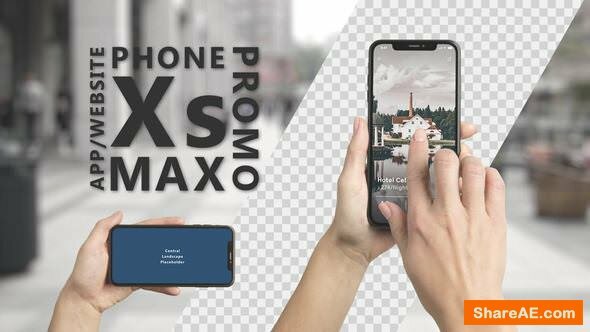 Just add your website or application app promo media files to placeholders and customize touch gestures in time and space! This project is perfect for your corporation, company’s portfolio, business presentations as well as more than others. 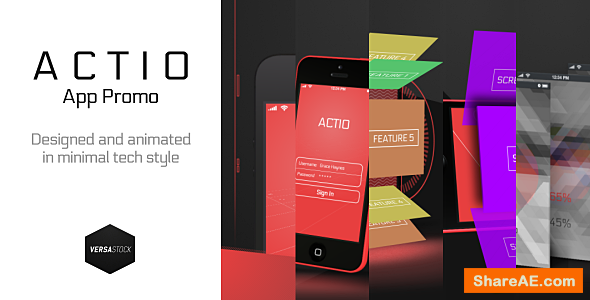 The template has a large number of options and settings, characterized by the mobility of its elements. Color it! 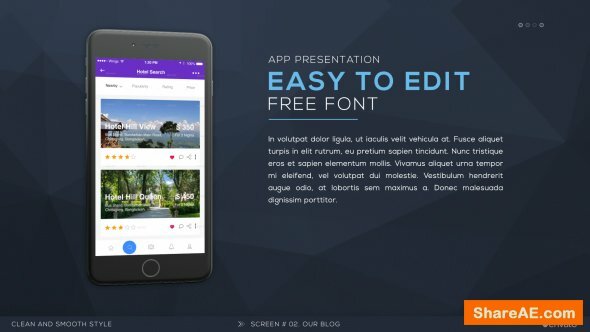 is a Desktop Mock-up presentation! 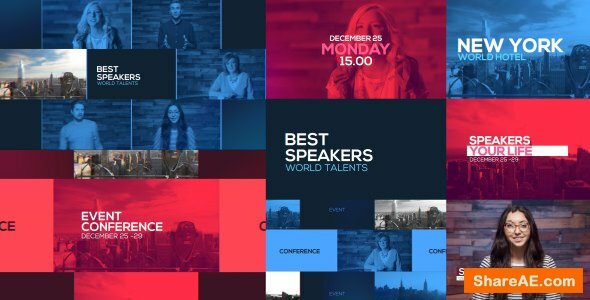 A high quality web or app presentation template which includes handy color controls so that you can better utilize colors in your next presentation and really stand up! 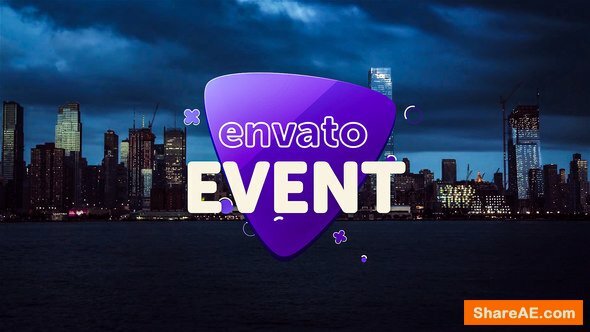 My new project “Event Promo” is perfect for creating short corporate video, summit, workshop promo, self promotion, product promo, short intro, showreel, demoreel, reel, modern promo, conference opener, youtube channel, smm promotion. 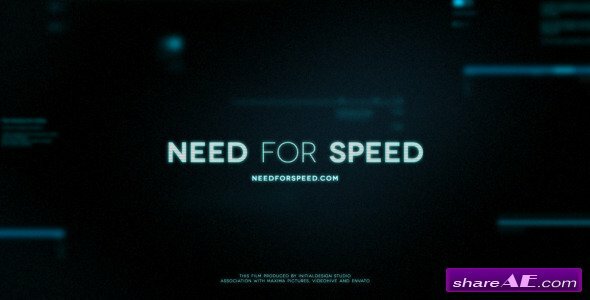 Not only a modern and minimalist design, it is also a stand out after effects template for one reason: Everything you need is included! 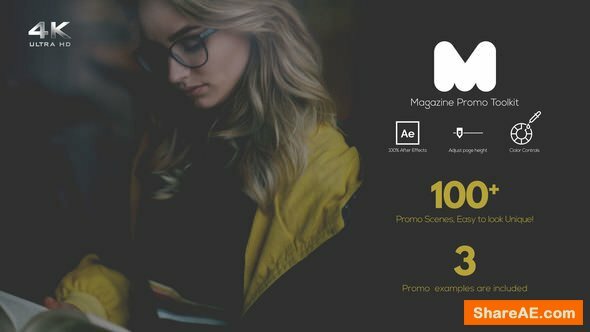 With more than 100 carefully crafted magazine scenes your video will look unique! 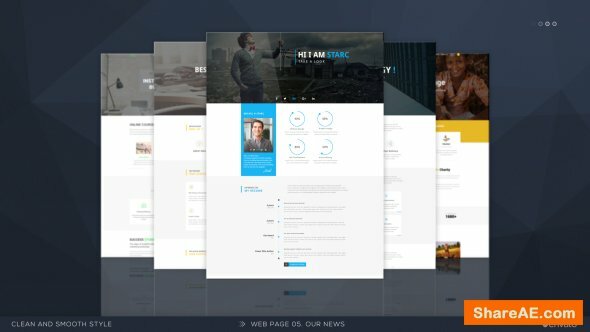 Present your company website pages in a dynamic way. 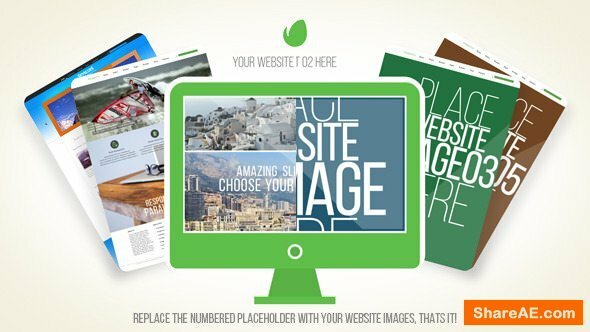 26 Image Placeholders,15 text Placeholders, 7 Scenes with Intro and Outro will give you enough time to present your website properly. You can also duplicate or remove scenes. 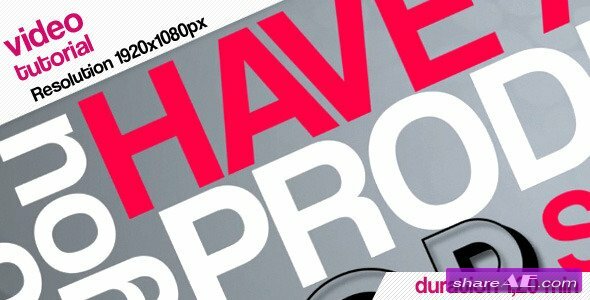 A set of Editable15 Animated Flat Icons are also included to beautify your project!. 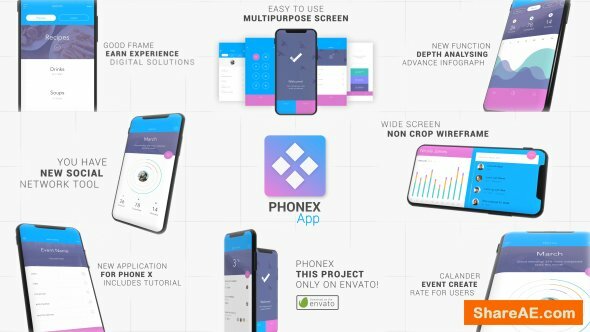 Promote & Explain your App with this Flat App Promo. 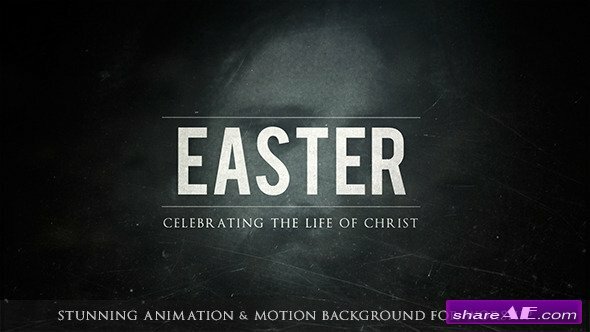 A set of Editable36 Animated Flat Icons created inside After Effects are also included to beautify your project!. Placeholders are numbered so that it is easy to locate and replace them. 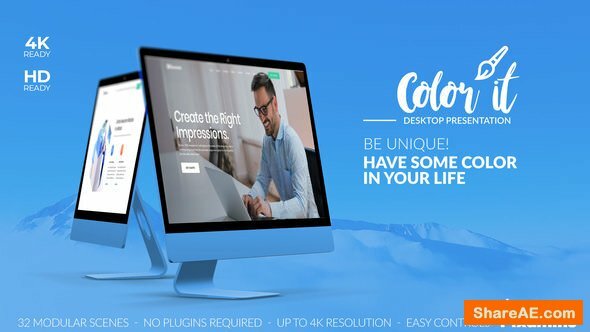 Change all colors with one click. All the icons are included. 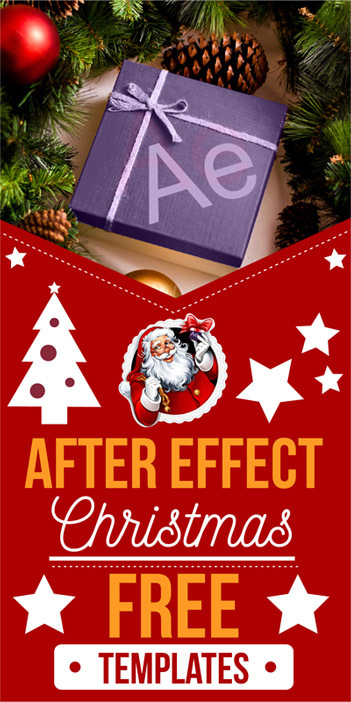 Fashion Promo is after effects project with high quality design and minimalist Autumn style. 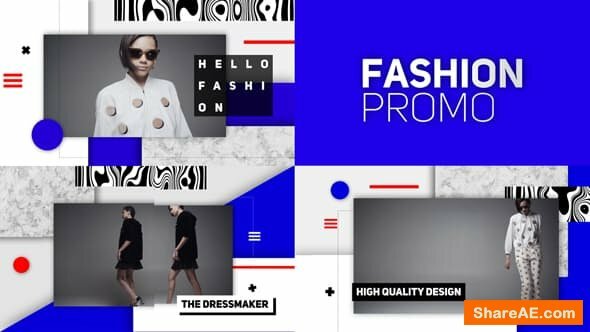 Design for your fashion promotion product, digital promo or brand ceremonial. 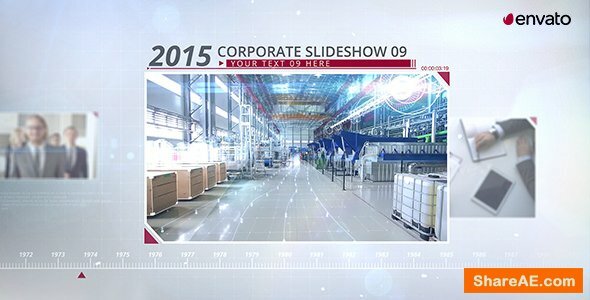 This project ready in 4K format dimension, easy to use and full editable. 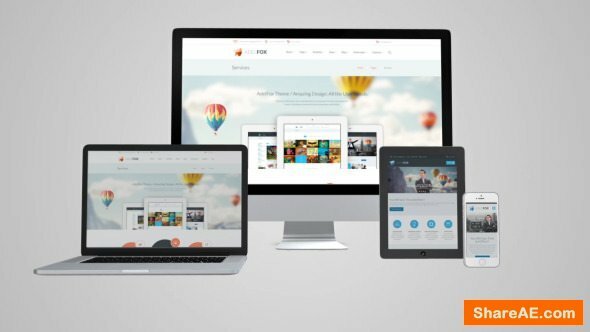 Responsive Website – Device Presentation is a professional template for your website or business. It has a corporate and clean design. 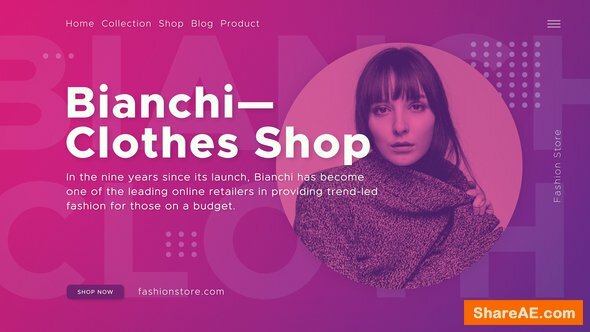 It has a professional look with many possible uses, example: business presentations, product promos, advertisements, website adverts, brand promos and more! 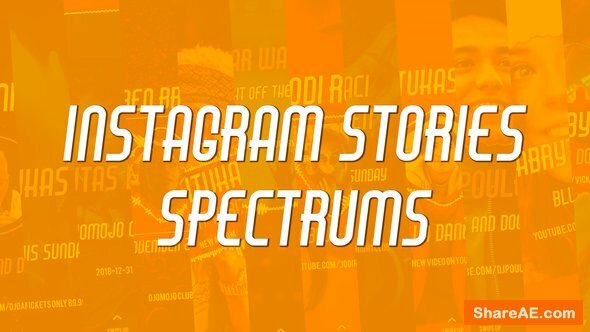 Just insert your images, follow the included help video and the template will do the rest! 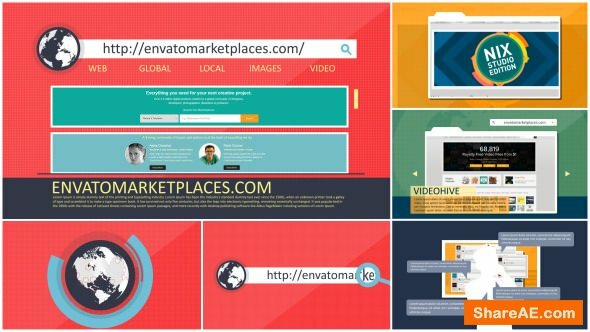 For the past few months i was listening all buyer comments and i’ve decide to surprise you for my 4th Envato birthday. A lot of new features were included such is iPhone 5s, iPhone 5c (all colors) Ipad Air and multiple placeholders on 1 scense (as requested by many buyers) Also i’ve change whole structure but it’s still modular composing. Now with minimal changes you are able to duplicate and combine devices as many times you want. Every device has own control. 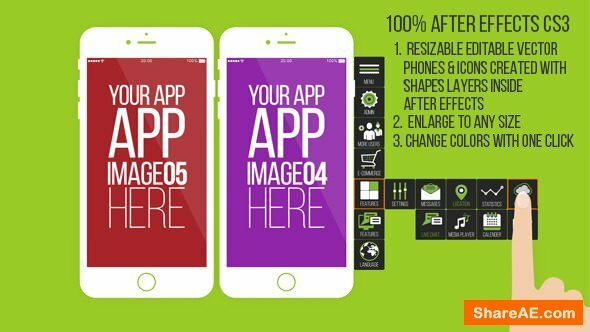 For those who want more if you are already purchased version 1 then version 2 is great deal because you will get over 2 minutes of unique template to promote your App or Website.